ToneSpot Bass Express – New! No more tweaking. Get inspired by the sound and explore some new colors. Across genres & styles, Immediately. Dirt cheap. Express delivers exactly the same sound quality and exactly the same amount of processing power, but with minimum controls so you can get the sweetspot of your tone super-fast. 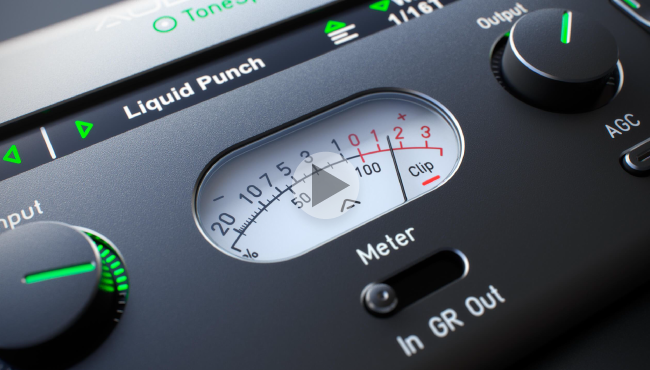 ToneSpot Bass Express is a preset-based plug-in that improves your tone in one click. You need that outstanding bass guitar tone you are hearing on your favorite album. So you bought an awesome instrument and a fantastic amp. Maybe you have also bought some beautiful stomp boxes, expensive rack units and phenomenal microphones. Or you rather use some amp simulation plugins. But what? Your dream-tone is not there when recorded and mixed with the rest of the band? You are endlessly tweaking and tweaking your sound, you tried everything. No success. Why? Bass guitar can take a lot of processing. It’s because the bass often fights against heavily distorted and harmonically rich layers of guitars or synths. So you need the tone that can cut through. The bass has to be super-consistent, and tight but it also needs to have balls in the bottom-end and pretty nasty midrange at the same time. Sometimes it needs to be almost as distorted as the synth stuff so it can't be overlooked in the mix. But it’s not all! Even if the bass is heavily distorted, it also has to be clear at some point so everyone knows which note is played, right? And that's why you need ToneSpot Bass Express. When a professional audio engineer is building that awesome tone in the studio, he is often running it through some heavy lifting. Blending several re-amping chains with massive filtering, heavy compression, equalization, saturation or even some multiband processing and maybe some other crazy stuff. And it is no secret that the top engineers often run the signal through their chains twice or three times in series until both the engineer and the artist are 100% satisfied with the result. So there is a lot of stuff to do when building a perfect bass guitar tone. There are very few products tailored for bass instruments post-processing, but most today’s engineers use very similar workflow. Both. Great musical ideas need a great sound. Music industry changed over years. The quality of sound and sound aesthetics often determine the success of the music. It’s not enough to write good music anymore. You need breathtaking sound to get attention. And... If you have an inspiring sound, you write and play better music. You have the ideas, we have the tool, so… Lets get inspired by the sound!